My podcast has opened many doors over the 12 years I've been podcast. 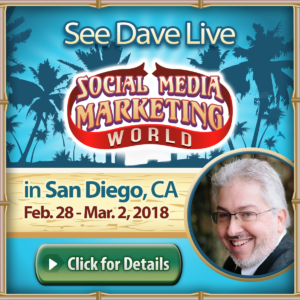 When I got home from Podcast Movement, I got an email from Michael Stelzner from Social Media Examiner stating he wanted to talk to me about the Social Media Marketing World 2018. In talking with Michael (and I so wish I had a copy of this ) he stated that he had people involved with his conference like John Lee Dumas, Daniel J. Lewis, and he's good friends with Cliff Ravenscraft. Michael said he turned to his crew and asked “Who is missing on the podcasting end, and they all said, “Dave Jackson.” So here again, it's not who you know, but who knows you. So because of my podcast, I will be speaking at Social Media Marketing World 2018. The event is February 28th – March 2nd in San Diego. Shortly after talking with Michael, I received a call from Chris Krimitsos, and I will be involved again with Podfest.us in Flordia February 8-10 in Orlando Bay. This weekend, September 23rd I will be the closing keynote of the first-ever National Podcast Power in Perrysburg Ohio. The price is $761. (so this may not be for the hobbyist, but it's always interesting to see pro gear like this as a more affordable version is probably in the works that will hit the shelves in a few years. 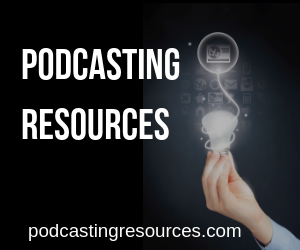 In the past I've mentioned there are three things a podcaster needs that have nothing to do with the tech. Your attitude – You actions follow your attitude. As the old Henry Ford saying goes, whether you think you can or you think you can't, you're right. If you look at the above three, that if one is removed, the other two suffer. I've mentioned in previous episodes how Jerry Seinfeld had to wait four years to get on the Tonight Show. He then kept killing it on every appearance for the next nine years before he got his own show. The television show Seinfeld did awful for the first four years of its existence. I've been reading alot of autobiographies lately (or to be honest listening to them). My most Recent were Martin Short and Amy Pohler. In both cases, they kind of knew what they wanted to do (entertain people and be in “Show Business”). They started with small theater groups and immersed themselves in their local scene. They worked with people who were better then they were, and learned. They performed in theaters that were housed under a supermarket. They were in buildings where you put things over the bathroom drains to keep the rats out. They suffered through these horrible situations because they loved their craft, and they knew that these experiences would only help them get better. In Martin Shorts book he explained how he was doing a live TV show in Canada. Tony Bennet (one of his heroes was on the show, but due to a snowstorm was very late – again live TV). Martin was supposed to sing near the front of the show with Tony closing the show. With the staff scrambling to fit pieces into the live TV show puzzle, they finally heard that Tony was going to make it. As soon as he arrived, they put him on and in true Tony Bennet fashion, he was awesome. There was only one problem, this meant Martin had to follow Tony Bennet. Both Martin and Amy knew, especially as they were often in groups doing improvisation that some nights you are the bug and other nights your windshield. You don't get better without practicing your craft. Martin Short who only did one season of Saturday Night Live (and yet Ed Grimly lives on forever) had (and has) serious imposter syndrome as about every seven years thinks his career is over, then he gets a new job. Amy said something that I think we all need to strive for, “Ambivalence is key to success. This means you have to care about your work. But not about the result. You have to care about how good you are and how good you feel, but not about how good people think you are. Or how good people think you look. I realize this is extremely difficult. How I take this is we have to care about our content, and deeply care about our audience, but in the event, we try something to better our show and it fails, we need to able to learn from it, and move on. As I've heard many shows (including some of mine) lead off with an apology (a pet peeve of mine) this is easier sad than done. If you are driving and accidentally cut someone off, they may wave at you in a particular fashion using one finger. Does this stop you from driving the next day? No, we go out, learn from our experience, and move on. 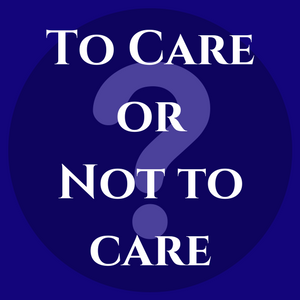 You will always care about your podcast content, but there may be times when you don't care about the result. You need to do what is best for you, and for the show, and if you're audience doesn't like it, they will have to deal with it, until your new target audience catches up with your show.